Interesting trail with good route choices & overnight at a welcoming country inn. We all look forward to welcoming you on the The Melan Trail. 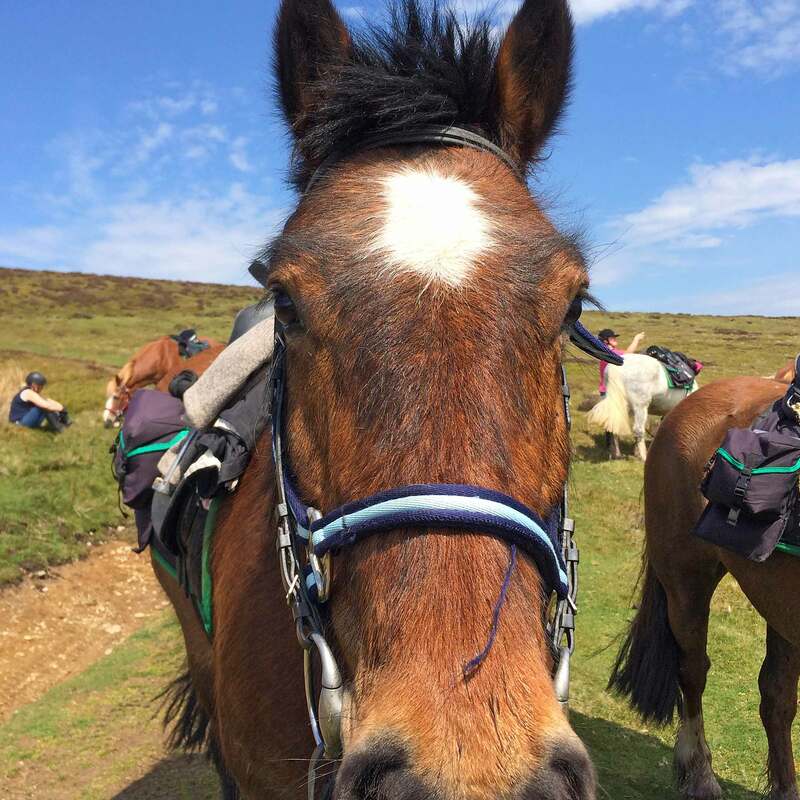 The Melan Trail is a two day trail ride staying overnight at the Red Lion Inn, Fforest Inn or Fedw B&B, situated in the tiny hamlet of Llanfihangel Nant Melan. It is two variable length riding days dependent on which routes you choose. 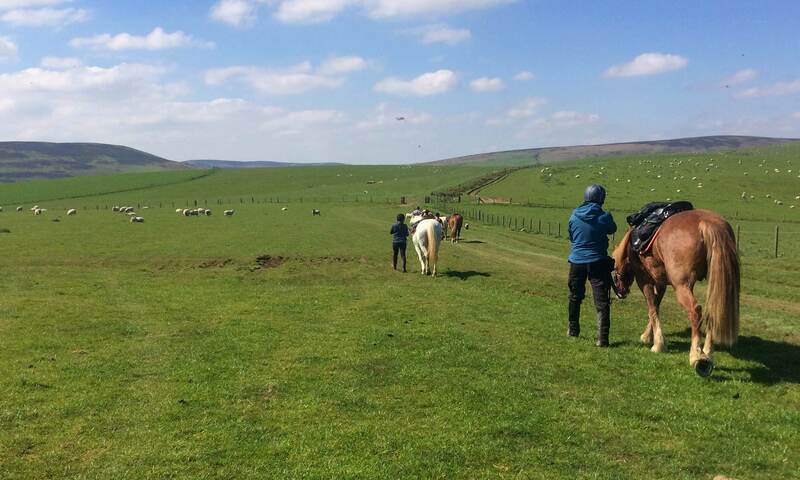 On the first morning of your horse riding holiday you will arrive at Freerein HQ to pack saddle bags, go through maps and routes and of course collect your fit and friendly GGs. 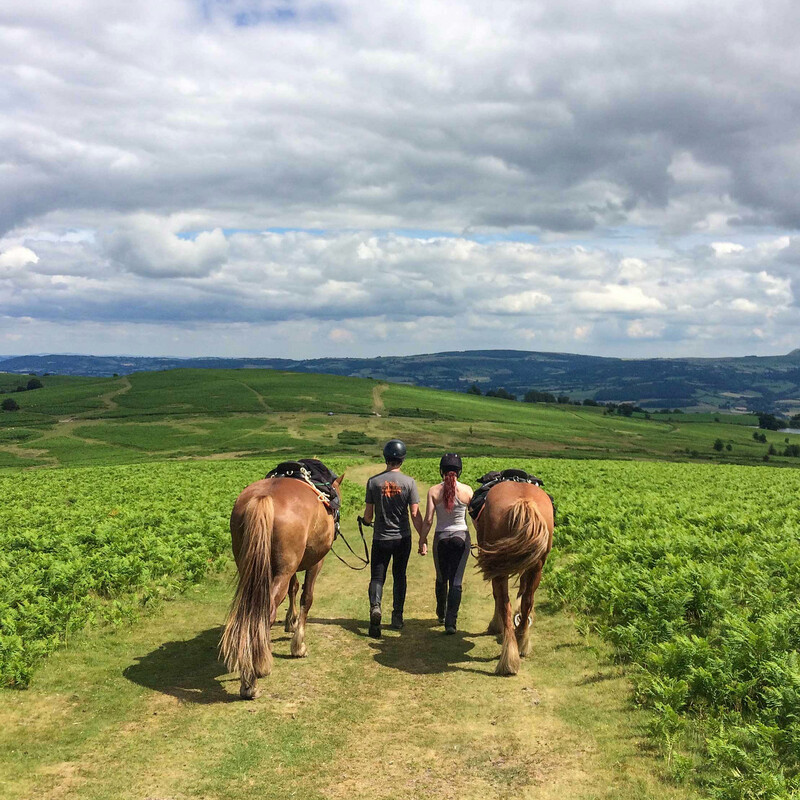 Starting from Freerein HQ there is a large choice of trail riding routes on the Melan trail ride. From a 12 mile jaunt over the expanse of hills to Llanfihangel-Nant-Melan to 20 miles via a country inn for lunch. The first part of these routes travel high above Painscastle past the mysterious ‘Ireland’ before heading off on your chosen trail. You have the choice of going to The Royal Oak or the Hundred House Inn for lunch (these are both very long days). Then all routes continue over the mysterious Black Yat before dropping down in to the valley to stay the night at the Red Lion Inn, The Fforest Inn or Fedw B&B. No better place to relax with your loved ones and your new four-legged friends! The Melan Trail stays overnight at the Red Lion Inn or Fforest Inn, or Fedw B&B. Both Inns have a bar and a restaurant serving good honest excellent value food as well as a number of letting rooms for guests. The horses spend the night munching in a nearby field. Fedw B&B is a warm and welcoming country house on the hillside just down the road. Your evening meal will be taken at the Fforest Inn. Again a choice of return routes returning back to Freerein HQ on this trail ride. Arrive at Freerein HQ at 9am. Meet your mounts and go through maps and route descriptions. Depart from Freerein HQ. Out on trail all day staying overnight at the Red Lion Inn or Fforest Inn. Return to Freerein HQ. Lots of route choices.